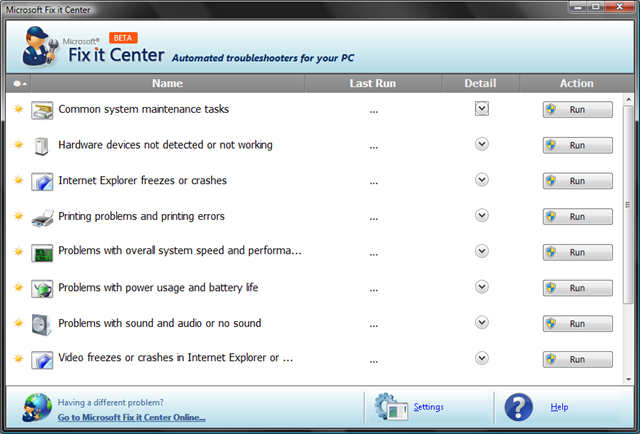 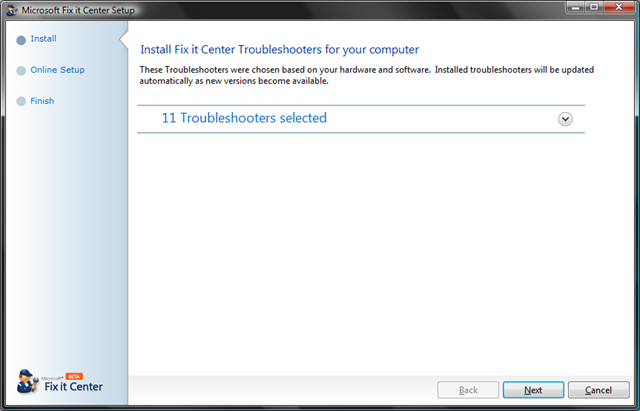 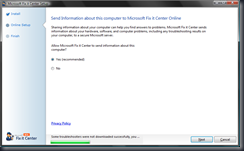 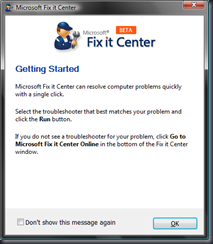 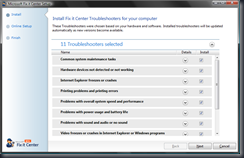 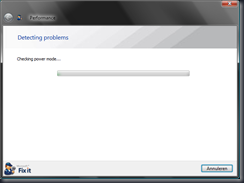 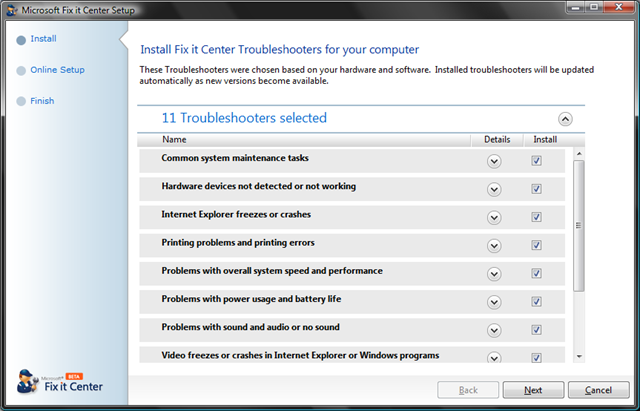 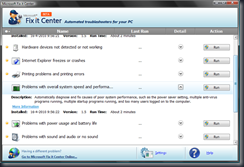 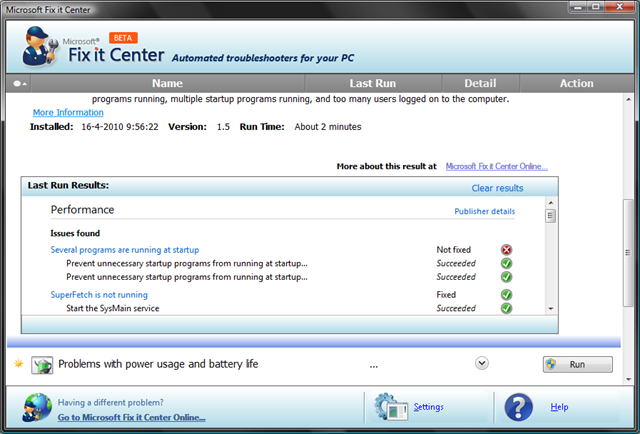 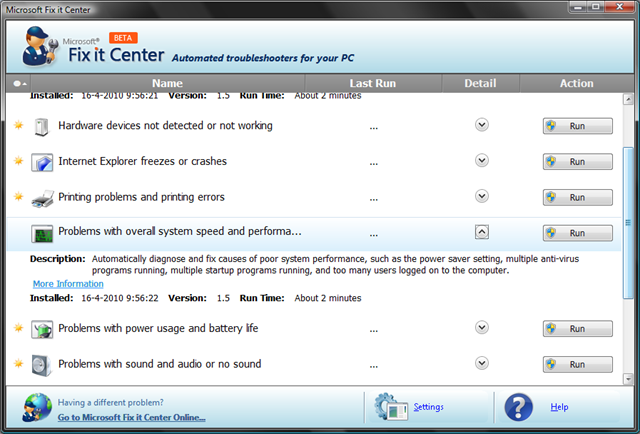 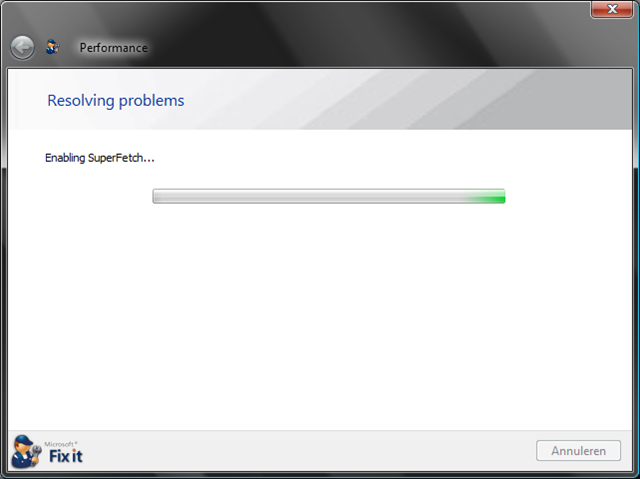 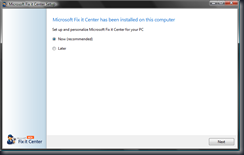 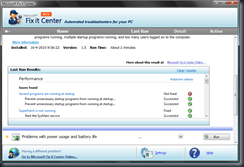 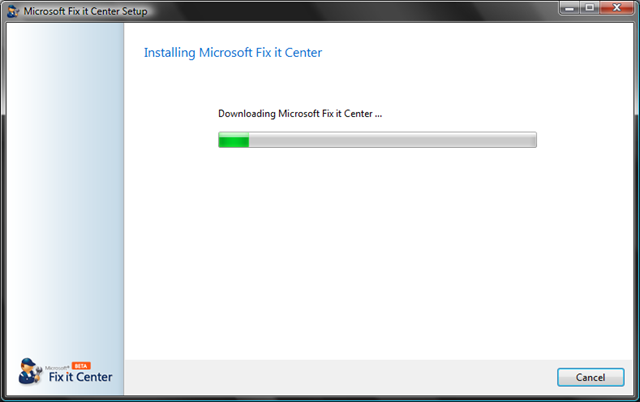 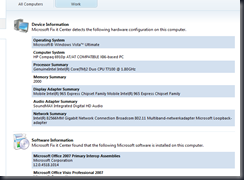 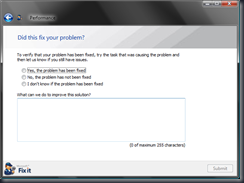 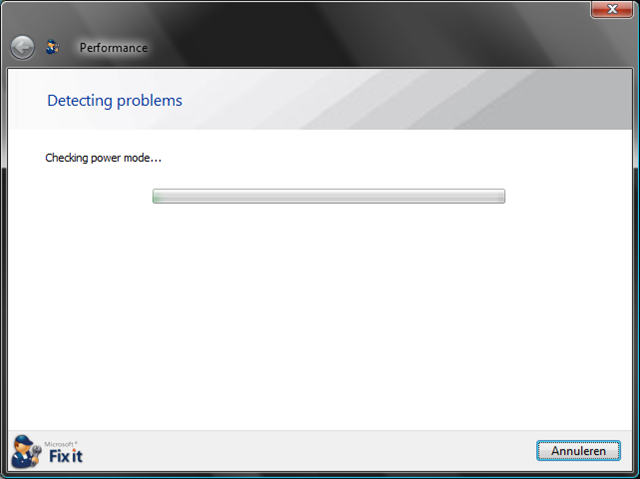 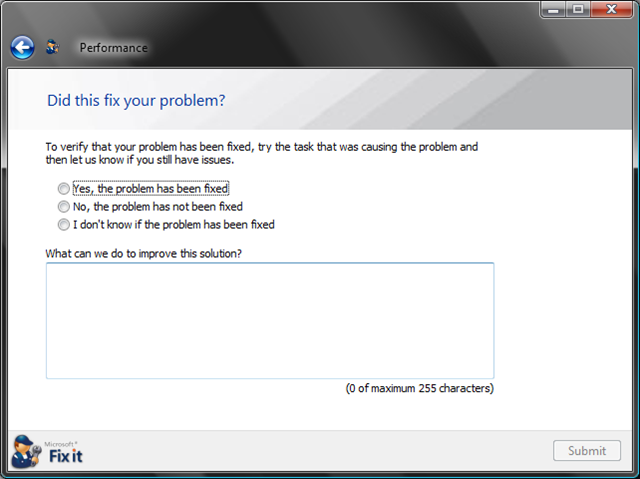 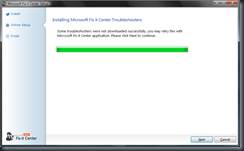 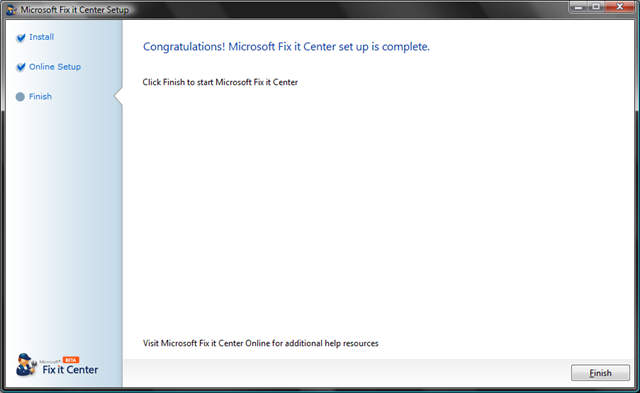 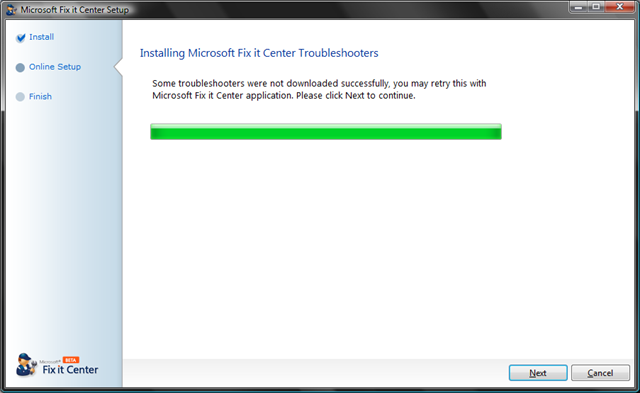 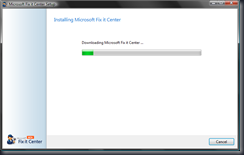 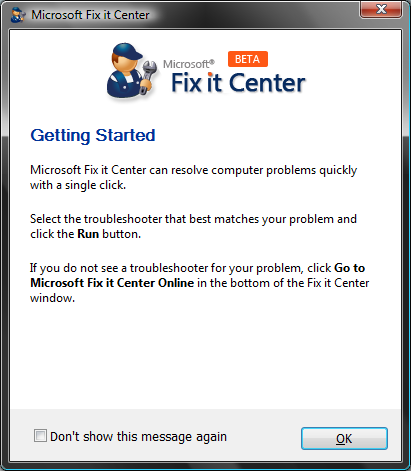 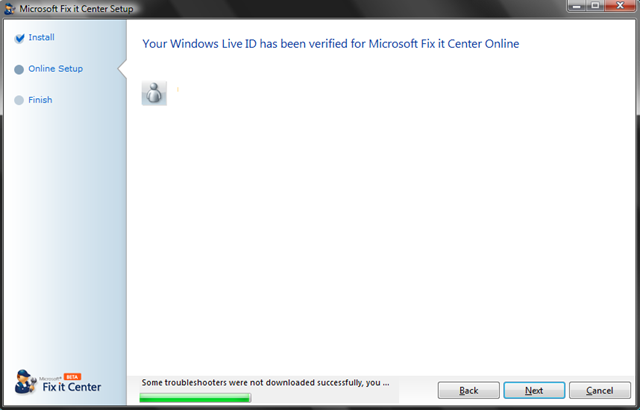 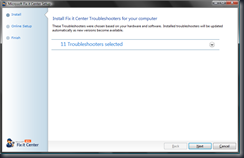 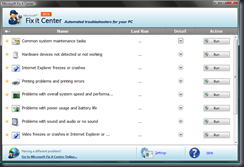 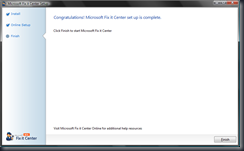 Install Microsoft Fix it Center? 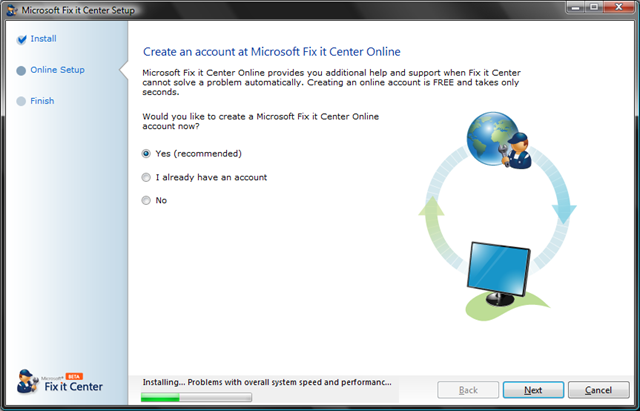 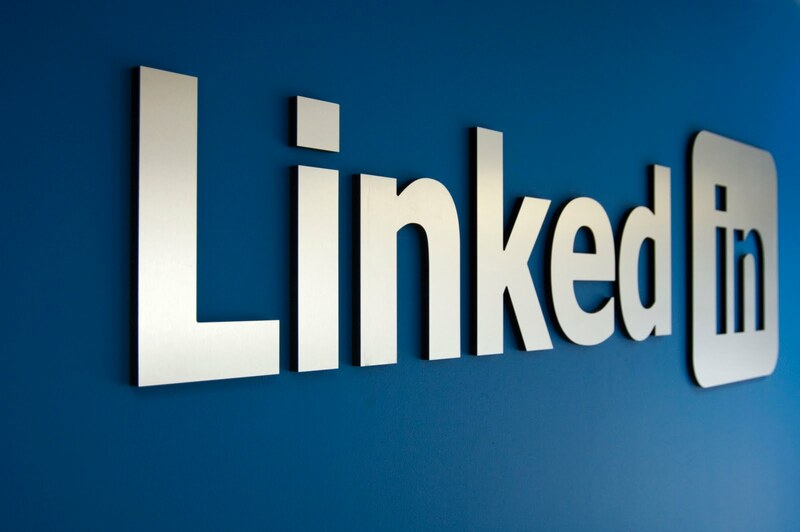 To make the most of your Microsoft Fix it Center Online account, please take a few minutes to install the Microsoft Fix it Center application. 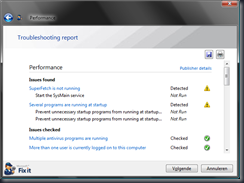 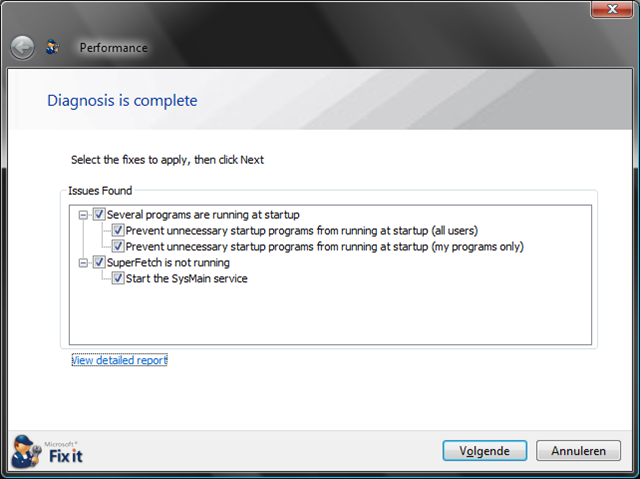 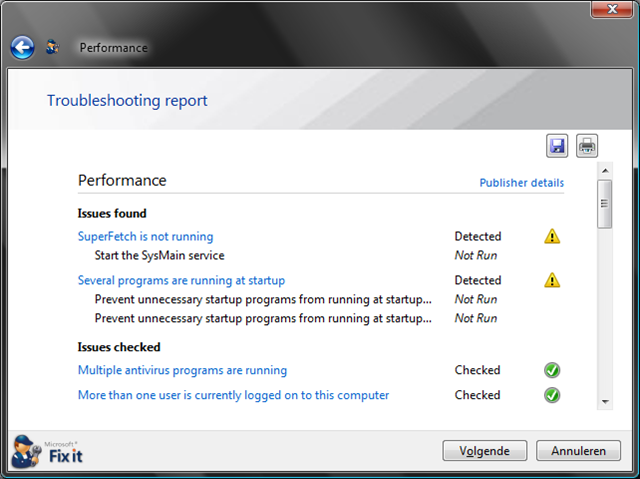 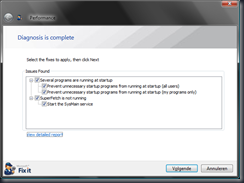 Check my system for errors. 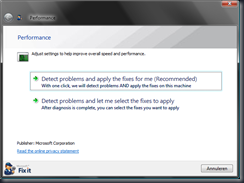 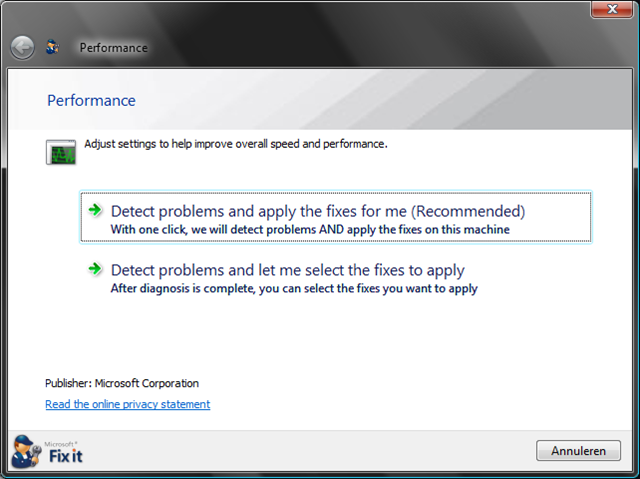 My first opinion this can be handy and fix things, but it would be nice if it checks on updates , or hotfixes and fix my vista black screen problem. 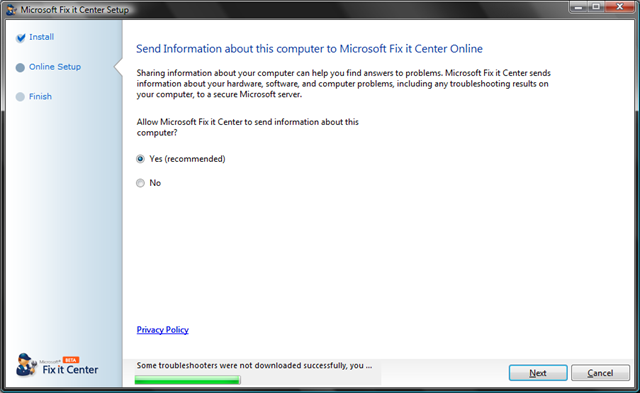 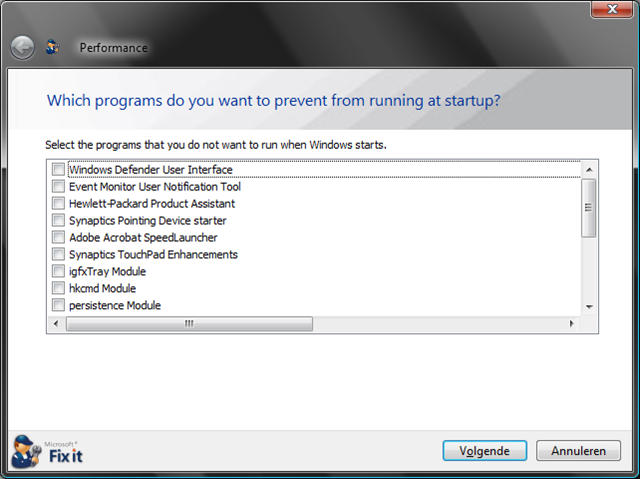 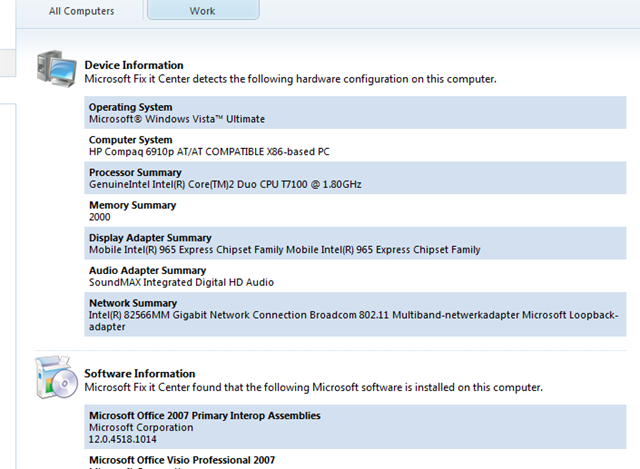 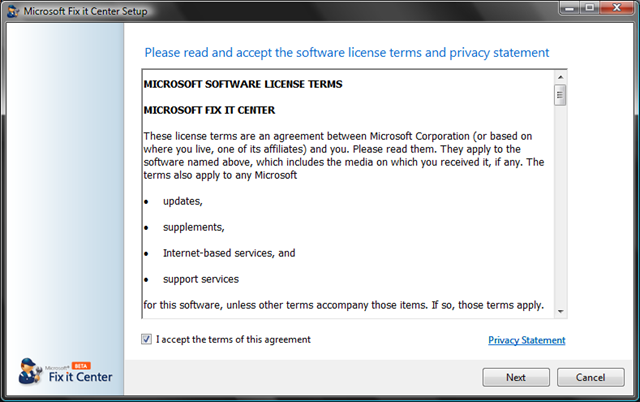 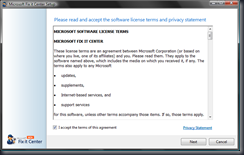 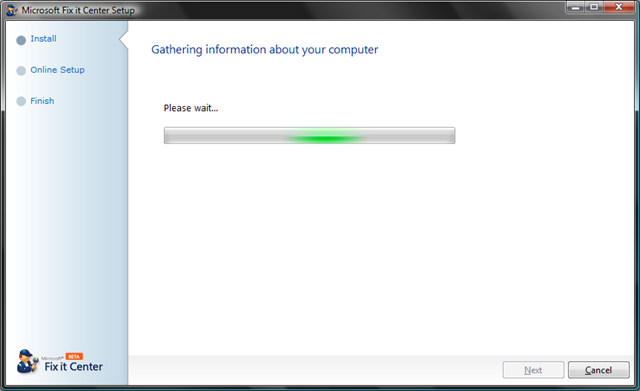 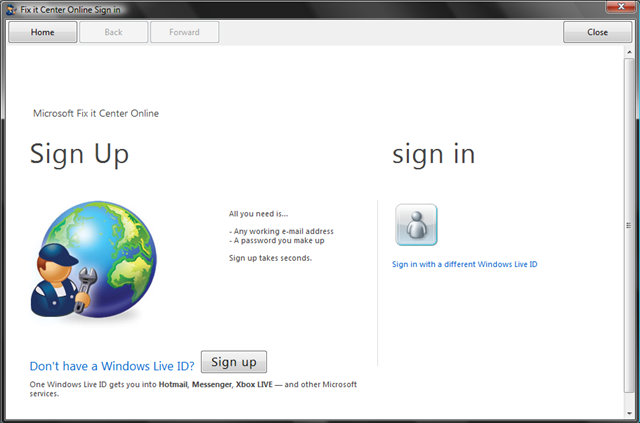 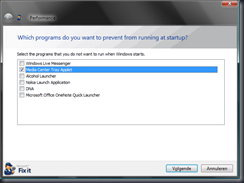 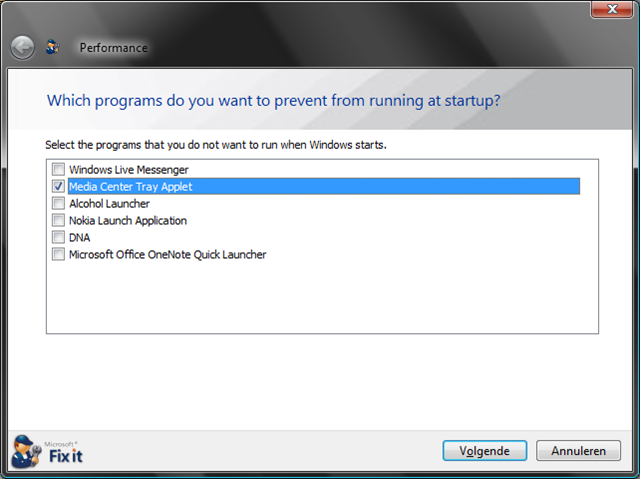 And If Microsoft build a corporate tool for this that you can run on your lan that would be nice, a bit like CER 2.0.